The U-18 Team Manitoba (POE) roster for 2016-17 was announced on October 4 and congratulations go out to five of our Flames who made the final roster. The team has twenty names with two goaltenders, six defense, and twelve forwards. Flames grade 12 captain KK Thiessen and two assistant captains, Karlee Mazor and Holly Reuther are joined by grade 11 Center, Ashley McFadden and grade 10, Sarah Dennehy up front. 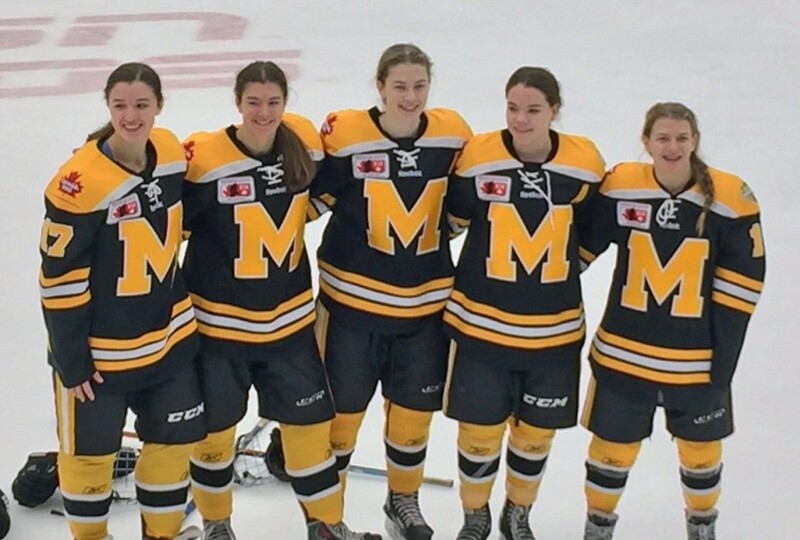 Team Manitoba will be competing at the U-18 National Championships November 9-13 in Regina, Saskatchewan. This tournament includes eight provincial and regional teams, including Alberta, Atlantic, British Columbia, Manitoba, Ontario Blue, Ontario Red, Quebec and Saskatchewan. 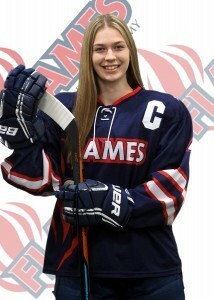 Grade 11 Kaitlyn Chatyrbok just committed to the CIS’ University of Manitoba Bisons, starting the fall of 2018. 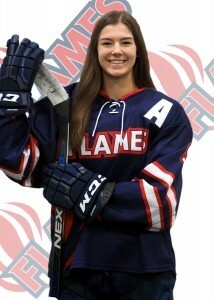 Grade 12 Karlee Mazor just committed to UBC (Vancouver) starting the fall of 2017 and will join Tory Micklash ’16 and Maddie Patrick ’14 there next fall. 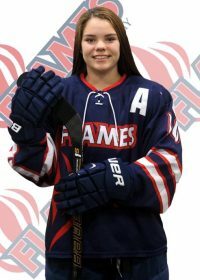 Grade 12 Flames second year blueliner, Hailey Cloutier, will join the CIS’ University of Windsor Lancers, joining the team in the 2017-18 season. 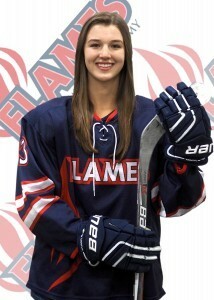 Grade 11 Flames third year blueliner, Lexi Cheveldayoff, will join the D1 Bemidji (Minnesota) State University Beavers, joining the team in the 2018-19 season. 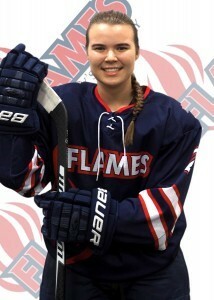 Grade 12 Flames assistant captain, Holly Reuther, will join the CIS’ University of Calgary Lady Dinos, joining the team in the 2017-18 season. 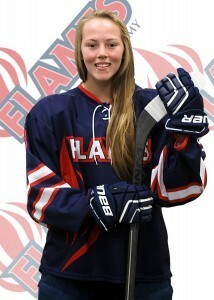 Grade 12 Flames captain, K.K. Thiessen, will join the DI Mercyhurst Lakers, joining the team in the 2017-18 season. Grade 11 Flames goaltender, Logan Angers, will join the DI Quinnipiac Bobcats, joining the team in the 2018-19 season. 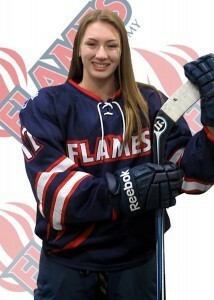 Grade 11 Flames forward, Ashley McFadden, will join the DI Penn State Nittany Lions, joining the team in the 2018-19 season. 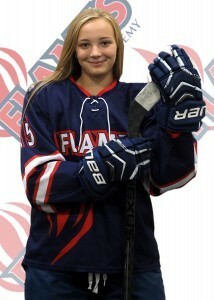 Grade 11 Flames Defender, Hailey Karbonik, will join the University of North Dakota Fighting Hawks, joining the team in the 2018-19 season. 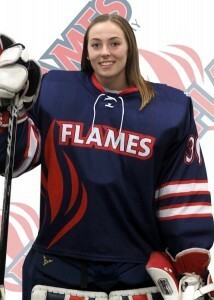 She’s good at both ends of the rink.